September 13, 2017, 9:33 a.m.
Kezia Dugdale’s recent resignation means that for the third successive summer year Labour will have a leadership contest. However, this contest will take place amongst Scottish party members and not the UK wide “selectorate” that twice voted for Jeremy Corbyn. This may make a difference in terms of what kind of candidate ends up winning the most support. After being twice burned by Jeremy Corbyn’s overwhelming victories, the more centrist factions of the Labour party will hope that in the upcoming contest they end up on the winning side of a leadership election. Our data suggests that they may have a better chance than in the previous two summers’ national votes. In last year’s contest, Scottish members were noticeably less “Corbynista” than the rest of the UK. YouGov’s data indicates that while England and Wales were both overwhelmingly in favour of Jeremy Corbyn, Scotland favoured the challenger, Owen Smith. Furthermore, party members in Scotland are slightly more centrist than their English and Welsh counterparts, with over a quarter (27%) describing themselves as “slightly left of centre” compared to 20% in England and Wales. 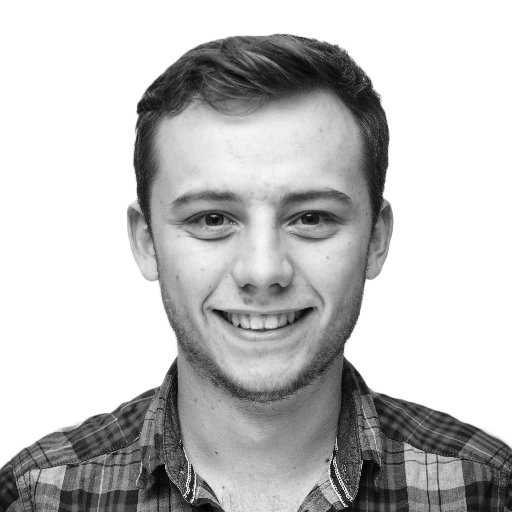 Additionally, an overwhelming majority (65%) of Labour party members in England and Wales would have given their second preference to the Greens at the general election, if such a thing was possible. However, among Labour members in Scotland it is less clear cut. While 42% would have backed the Greens as a second preference, 41% would have picked the more centrist Liberal Democrats. The different compositions of the membership in Scotland compared to the rest of the country seems to be because of the distinct topography of Scottish politics. Unlike many other areas, Scottish Labour has not seen a dramatic influx of new members. This has had two effects. Firstly the membership is a lot smaller, proportionally, than the rest of the UK. 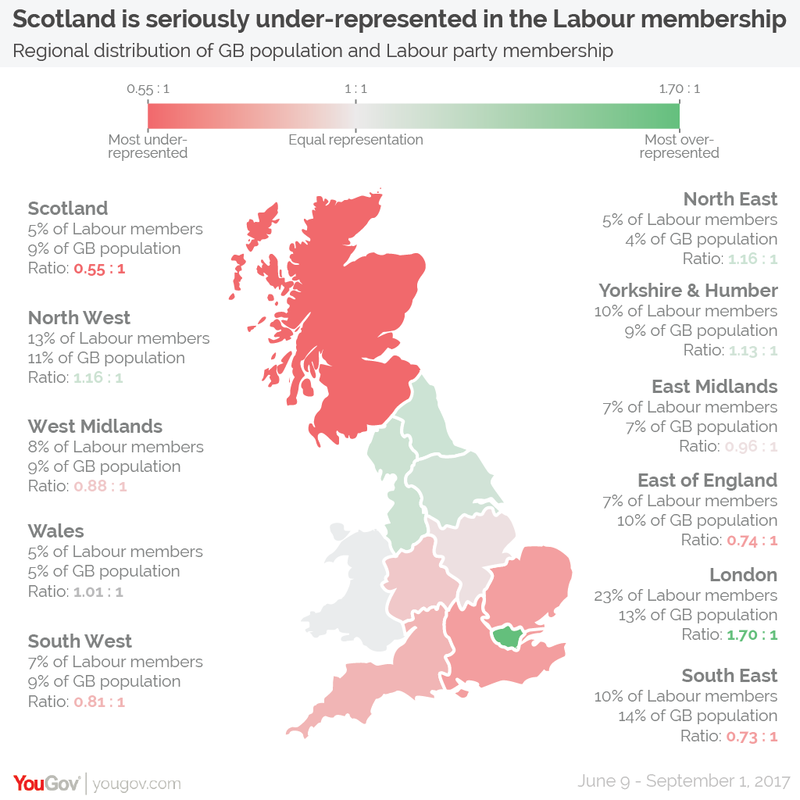 Just 5% of UK Labour party members reside in Scotland, compared to 10% who live in Yorkshire & the Humber, despite both areas being home to a similar proportion of the British population (about 9% each). 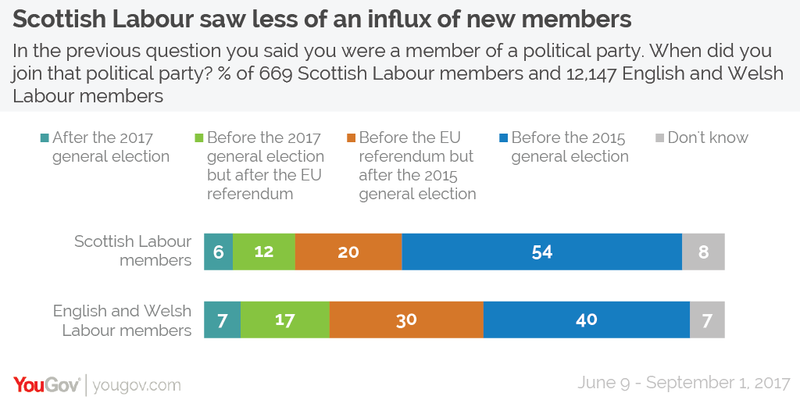 Secondly, Scottish Labour membership has a higher proportion of members who have been with the party since before the 2015 election. Indeed, while the majority (54%) of Scottish Labour party members joined before the 2015 General Election, in England and Wales this figure is only 40%. Furthermore, just under a fifth (18%) of Scottish party members have joined since the EU referendum compared to around a quarter (24%) of those in the rest of Britain. It seems as though politically engaged left-wingers – who have joined Labour in large numbers elsewhere in recent years – did not do so to the same extent in Scotland as they had already found a home in the Scottish National Party. After the independence referendum SNP membership surged to over 100,000, leaving a much smaller pool from which Scottish Labour could draw members. So rather than being the sort of people who became Labour members because they like Corbyn, they are more likely to be the sort of people who joined the party because they liked Ed Miliband and Gordon Brown (or even New Labour). Many important details of the election are yet to be confirmed – such as whether the party will allow registered supporters and new members to vote. As Jeremy Corbyn’s two victories show, such factors can be crucial in shaping the outcome of the vote. The Westminster leader is also on a roll after a successful General Election. This may blunt the one of the main criticisms that more centrist Labour people used against left-wing candidates: that they aren’t vote winners. Whether this has any impact on the party membership in Scotland remains to be seen. But with all things being equal, if the contest is held among the current membership the data suggests that a more centrist Labour candidate seemingly stands a slightly better chance of winning the Scottish leadership than seizing the national crown.